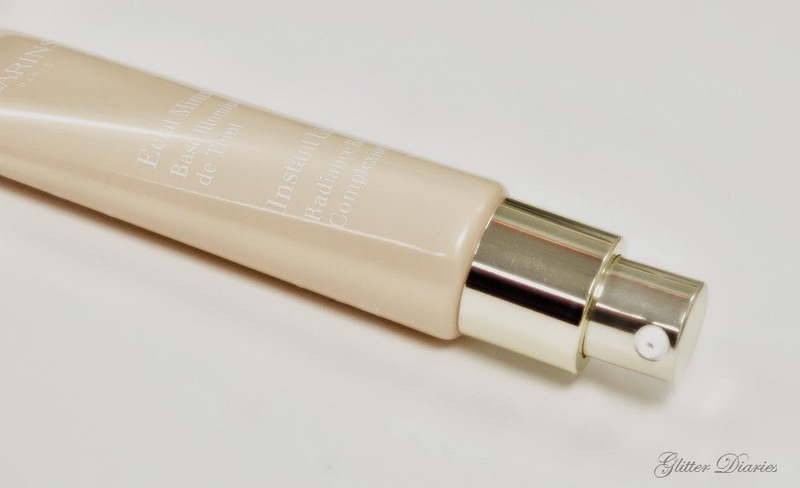 Clarins wants to help boost your skin’s complexion even step further with their new skintone enhancer called Instant Light Complexion Illuminating Base. It comes in three shades – Rose, Champagne and Peach – for your desired complexion correcting effect. 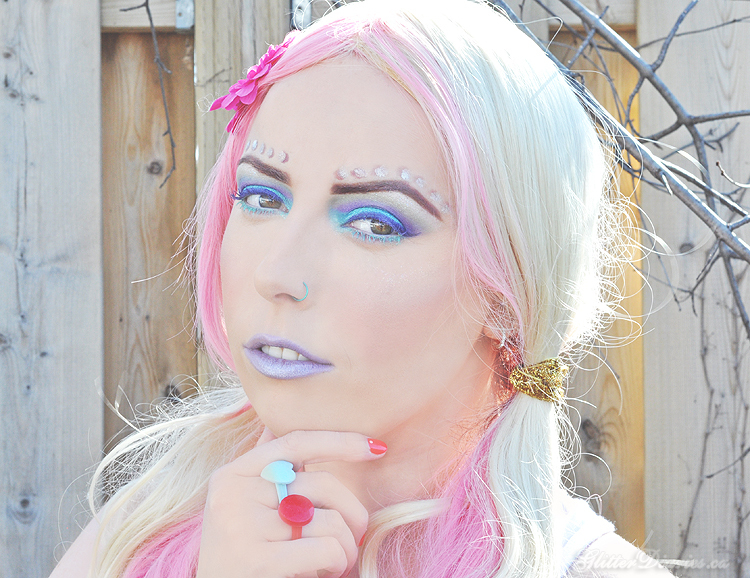 I was able to test out Champagne, the middle shade, to find out what it would do for my skin. But first, a little background information. Each shade is intended to correct a complexion concern. Rose will help with brighten and eliminate dullness in any skin tone, Champagne helps to eliminate redness and peach restores radiance to medium to darker skin tones and matte skin. They can be used alone, under foundation or mixed with it. It contains a new “Lumi-Tech” complex which brightens the complexion and eliminates any shadows, as well as the Katafray extract which leaves the skin feeling nicely moisturized. It helps soothe even the most sensitive of skin, is dermatologist tested and non-comedogenic. It has a nice thin consistency and a glow to it that when it spreads onto the skin, it makes you look well rested and refreshed. It has a soft scent that didn’t overwhelm the product and smells just like their skin care. I wore this alone without adding any foundation or concealer and it did a pretty good job on its own. 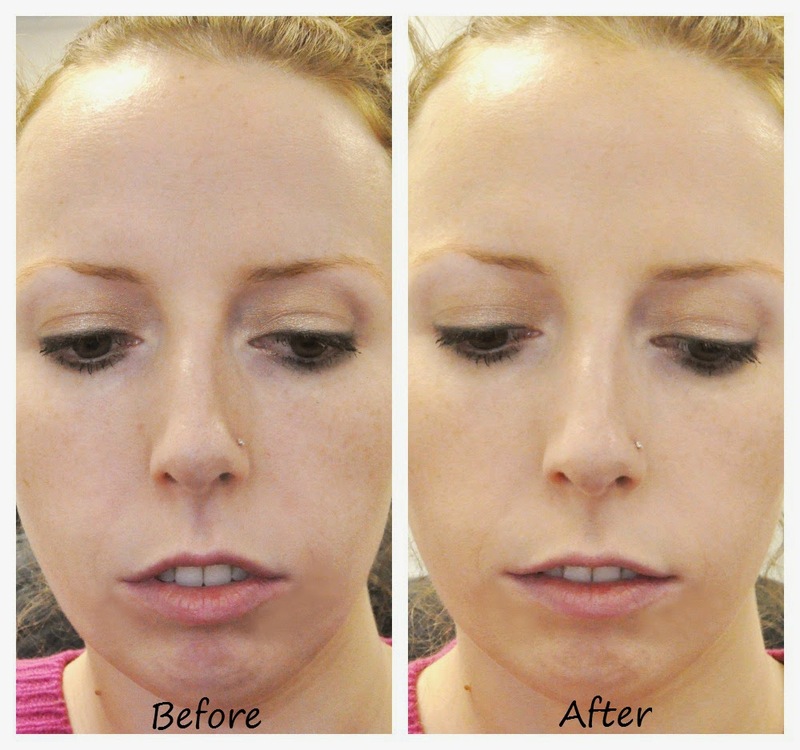 The glow it gave me looked very natural and it helped reduce the appearance of the redness I have on my cheeks and chin, as well as some blemishes. It didn’t make me feel greasy and I still noticed its brightening power at the end of the day. If you find that your foundation doesn’t do a good enough job in giving you a glowing appearance, just add one pump of Rose or Peach, if you have a darker complexion, and mix with your foundation and if you’re like me and suffer from redness, Champagne is great to use before applying your foundation to neutralize the discolouration. On their own or paired with your foundation, these illuminators will give you a properly corrected and even-toned, “lit from within” appearance. 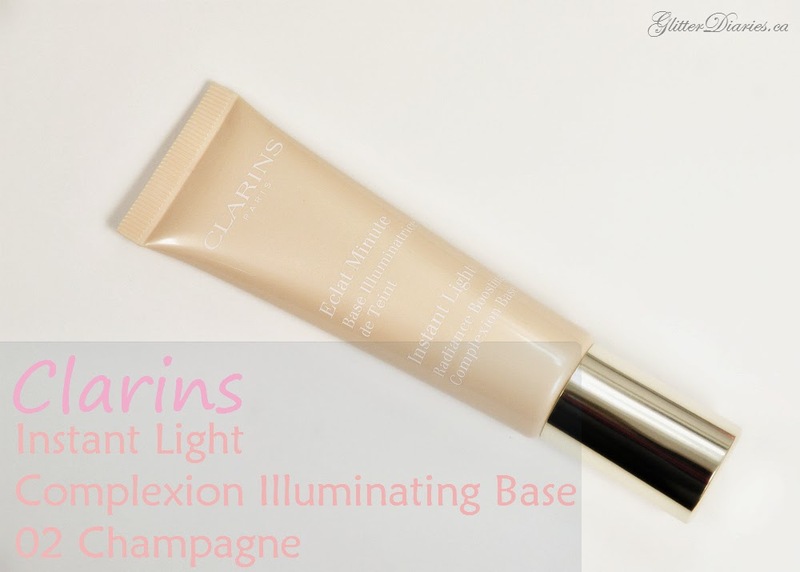 What do you think of Clarins ‘Champagne’ Instant Light Complexion Illuminating Base? Do you have a favourite complexion boosting product?